This weblog is here to present a wide variety of album covers, grouped in categories and where possible annotated with designer’s names, etc. The covers have mostly come from my own modest collection but it is hoped other collectors may wish to get involved. If you have a good or specialised vinyl collection I’d be happy to hear from you. ST33 is taking over (and still linked) from the album art pages currently hosted at easyontheeye.net, simply because I can more easily find the time to update this format. I’ve been interested in album art since I was at school. As a designer I even got to do a few vinyl sleeves in the late seventies and early eighties, before the CD format took over and have been able to do a few vinyl packages again in the past couple of years, as demand and interest means the format continue to thrive. IMAGES • Most covers are also available as high resolution images should anyone want to make use of them in magazine articles, etc. EASY ON THE EYE BOOKS • ST33 is linked with easyontheeyebooks.wordpress.com, who are publishing a number of popular culture related titles, including some of interest to vinyl enthusiasts. 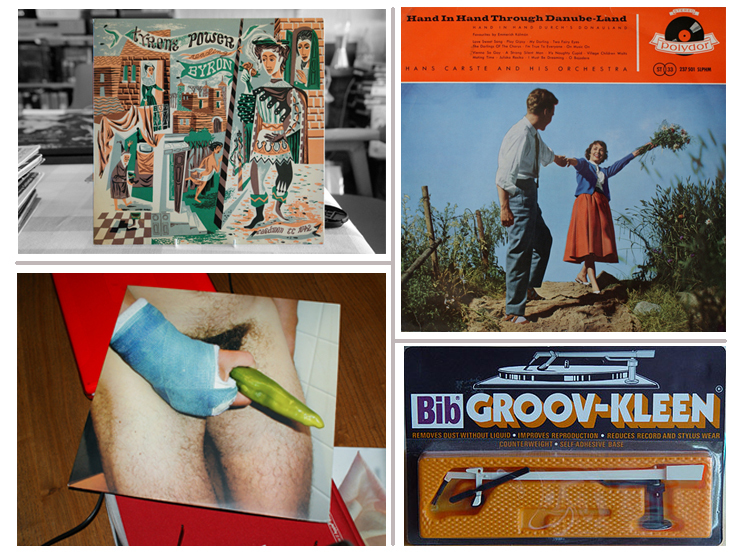 EXHIBITIONS • ST33 has been involved in album sleeve exhibitions, and can curate themed exhibitions. A pop-up window display on The Moor in Sheffield is covered here. LECTURES • We can provide illustrated lectures on sleeve design through the second half of the C20, or tailored to suit. DESIGN • I have done sleeve work for EMI, Harvest, Warners, 4AD, Native, Connoisseur, Sanctuary, Castle, RPM, Purple, Sequel, VAP and others. I am always interested in new projects.